So, I have a confession to make and, in today’s day and age, it seems like the best place to do that is in a blog. There, I said it. And, frankly, I mean it. Is it because I’ve lost in love and I’m bitter? Nope. Am I just a crotchety old man who just refuses to have a heart? I don’t think that’s the case. I’m a 41-year-old guy who (fingers crossed) will celebrate 20 years of marriage this summer with two amazing daughters and my heart overflows with love for them all. So, why am I such a Grinch about Valentine’s Day? Well, as you might expect from someone who makes a living in the financial sector, it boils down to the simple fact that it does not make sense economically to me. It is estimated that Americans will spend $815 million this year buying Valentine’s Day presents for their pets. Let me say that again with my pinky up against my lips for effect – that’s $815 milllllllllllllllion on animals. For the sake of comparison, that’s basically the same as the national GDP of Grenada and more than 12 other countries. In total, Americans will spend $4.4 billion – that’s billion with a B – on jewelry for Valentine’s Day. That would build one million homes for Nicaraguan families AND pay for the annual tuition, uniforms, transportation and supplies for 13,333 students for an entire year in the same country. Americans will spend a total of $3.5 billion just on flowers and candy on Valentine’s Day. Flowers are dead within a week and the candy is consumed in a day or two and sticks on your thighs for, well, a lot longer. For $3.5 billion, as a country we could provide four years of college for 39,607 deserving students who simply don’t come from a family with the means to send them to school. 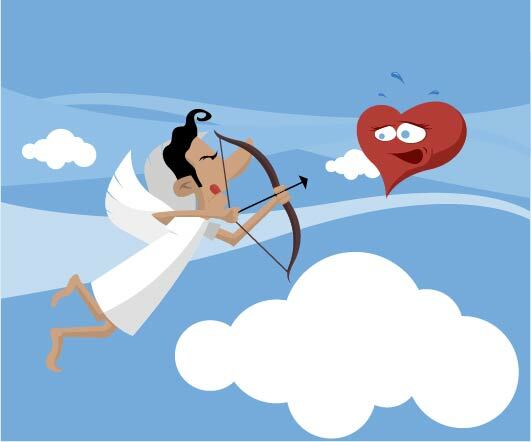 It is estimated that the average man will spend $175.61 and the average woman $88.78 on Valentine’s Day. Let’s say a young couple in love starts buying gifts for each other at that amount when they are both 20, and they continue to spend the exact same amount (non-inflation adjusted) on each other each year until the age of 65. They would have spent a combined $11,880. If, instead of investing that money on gifts of passion, they had invested that money each year in a ROTH IRA and experienced a 7% annual return, that $11,880 would have turned into $80,718. I guess I find that the older I get, the more importance I place on keeping things in perspective. Maybe that’s just my way of justifying being cynical or a conspiracy theorist. Maybe I’m just a Cupid buzz kill. I am willing to admit that it is important to have a day set aside for showing care and compassion on the ones we love. But, I’m also a big believer in doing the best you can every day to show that care and compassion – not just for those closest to you – but also for those around us. Just like investors are better off staying focused on the big picture and consistency, rather than seeking to hit home runs with investments, it’s my opinion we are better off being fully invested in loving the people in our lives and our world every day instead of making a single big splash. Maybe some of those statistics prove me right. Or, maybe I really am just a crotchety old man.